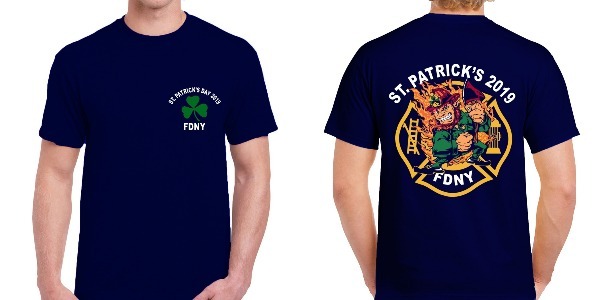 New York City might lie far across the pond from the Emerald Isle, but you wouldn’t know it when St. Patrick’s Day rolls around. 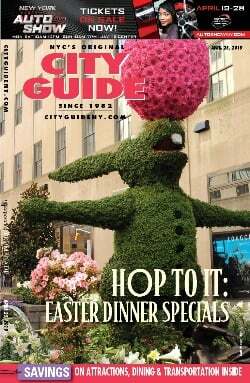 The entire city turns green in mid-March, no more so than the day of the St. Patrick's Day Parade, happening Saturday, March 16, this year. Catch the Irish pride traveling Fifth Avenue from 44th to 79th Street with Brian John O’Dwyer, Esq., as Grand Marshall. The parade, full of bands, dancing, and other marchers, will last from 11am to about 4:30pm. 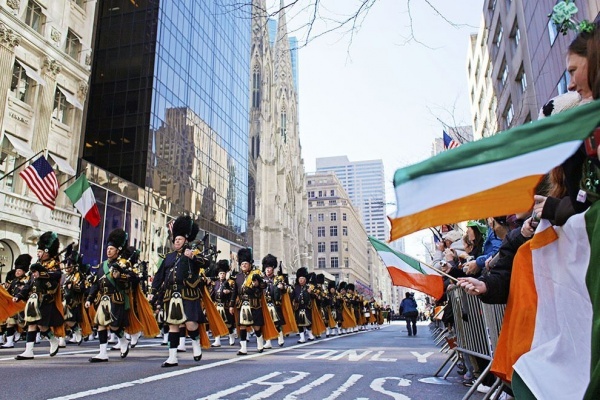 Read on for further St. Patrick's Day festivities happening this March in New York City. 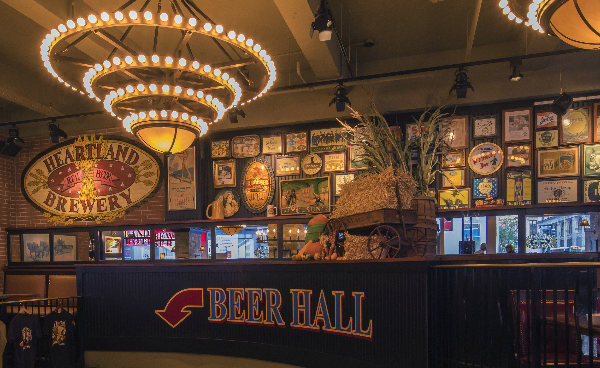 Near the St. Patrick’s Day parade route is the Empire State Building location of Heartland Brewery & Rotisserie. Refuel in this large dining room with a burger or fish and chips, and be sure to try a craft beer or two. You can enjoy a Farmer Jon’s Oatmeal Stout while you continue to enjoy the parade or your favorite sporting team on one of the brewery’s TVs. Heartland special! 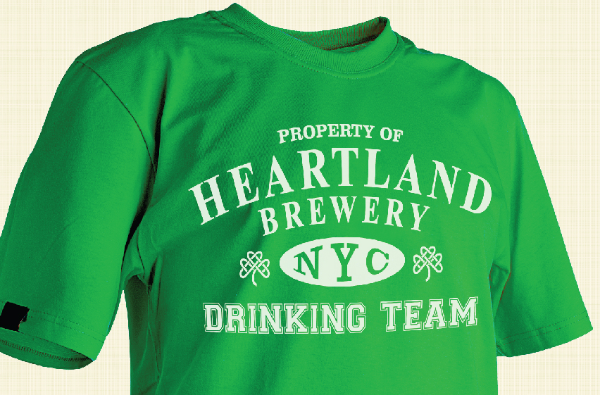 Join them for $7 pints all weekend when you purchase and wear their Heartland Brewery Drinking Team t-shirt. 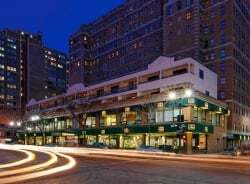 Offer good at the Empire State Building location on Saturday and Sunday, March 16-17 (Heartland's other locations, both near Times Square, are Heartland Brewery and Chophouse and HB Burger). Times Square’s newest draw is The Ribbon, a spinoff of the Blue Ribbon empire of fried chicken and sushi fame. 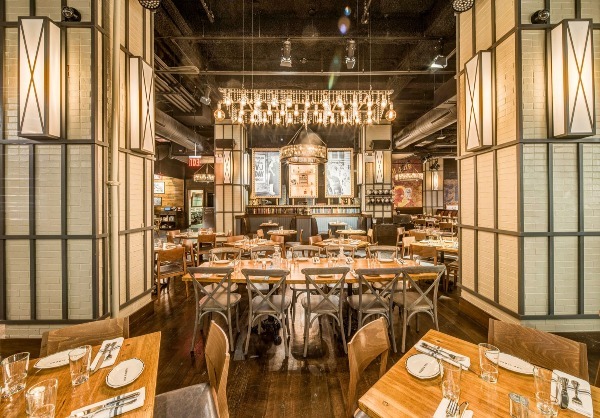 Brothers Bruce and Eric Bromberg, hospitality legends with more than 25 years under their belts, have brought the Theater District a winning combination of elegant-yet-approachable environs and perfectly executed elevated comfort food. Large-and-in-charge steaks, burgers, fried chicken, and whiskey will all star on the menu this St. Patrick's Day. A veteran policeman called Dutch Fred reputedly named the neighborhood of Hell’s Kitchen in the 1920s, during Prohibition. His partner, watching a riot, said, “This place is Hell itself.” Dutch Fred said, “Hell’s a mild climate. This is Hell’s kitchen.” In the spirit of the era (without the riots, of course), Dutch Fred’s serves craft cocktails and delicious food in a retro setting. 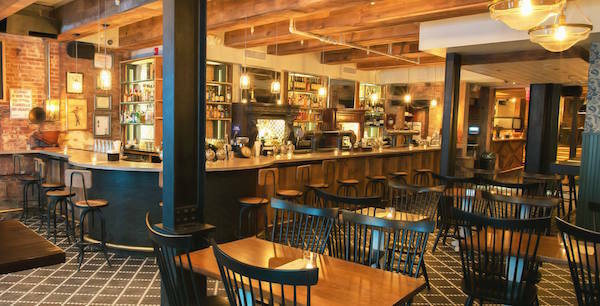 If you’ve always wanted to sit in a Gangs of New York-style tavern, complete with aged barrels, antique chandeliers, and vintage upholstered chairs, come to Haswell Green’s. As savvy with a craft beer as with a craft cocktail, the bartenders can serve you your new favorite drink while you listen to live music, offered nightly at Haswell Green’s. Eats include wood-fired pizzas, sourdough pretzel bites, and classic New York sandwiches like pastrami and falafel. Named for a historical New York gangster from the Prohibition Era, Tanner Smith’s is your subterranean speakeasy in crowded Midtown West. With early 20th century decor and period-appropriate cocktail names, Tanner Smith’s serves drinks like the mule-inspired Sing Sing and the Billy Club with bourbon and apricot liqueur. Order gastropub fare like lamb sliders and fish and chips on the main level above the speakeasy, where the kitchen serves breakfast, lunch, and dinner. Vida Verde brings the tastes, colors, sounds, and scents of Mexico to Midtown West. NYC cocktail culture meets flavorful, shareable bites with contemporary twists here. 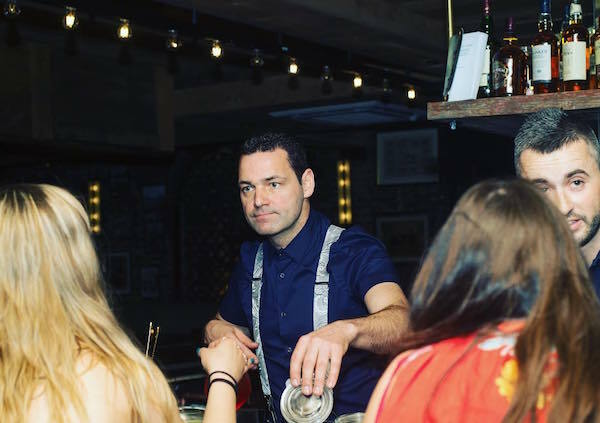 On Saturday and Sunday of St. Patrick's Day weekend Vida Verde will be wishing New York a "Happy San Patricio Day," complete with Mex-Irish fusion cocktails, food specials, and surprises. Beyond PMac’s Hospitality Group, just steps from the parade you'll find Papillon Bistro and Bar on East 54th. They'll be serving a special menu on St. Patrick’s Day weekend. Tuck into an Irish breakfast of eggs, black and white pudding, Irish pork sausage, and soda bread before you head to watch the festivities. Pints of Irish beer will also be available, plus other entrees like shepherd’s pie and corned beef sliders. Molly’s Irish Pub and Restaurant Shebeen feels like a trip to 19th-century Ireland: a perfect setting to celebrate St. Paddy's. There’s sawdust on the floor and a wood-burning fireplace in this pub, which has operated since 1895. Come to the Emerald Isle by way of Gramercy for a pint of Guinness and Irish lamb stew. 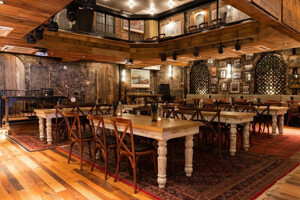 The merriment will continue at O’Lunney’s near Times Square. Irish brews like Smithwick are on offer at this Irish pub, plus some shepherd’s pie. This large establishment is great for groups, in case you’re traveling in a pack of revelers. 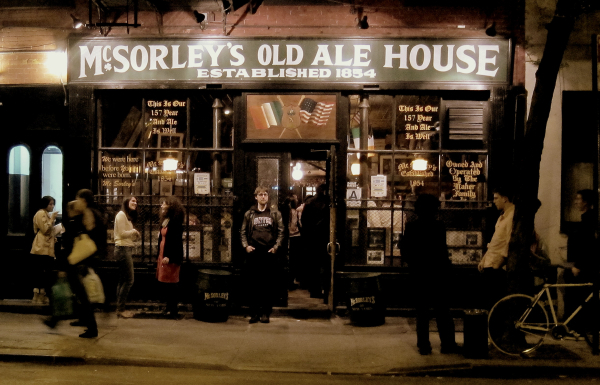 McSorley’s Old Ale House will be completely packed throughout St. Paddy's weekend, even during the breakfast hour. But we can’t not shout-out the city’s oldest bar (opened in 1854), which is also a classic Irish pub. Head to 7th Street in the East Village to fight through the crowds, and don’t say we didn’t warn you. For a more refined take on Irish dining, visit Oscar Wilde in NoMad. The extra-long marble bar and opulent antique decor reflect the style of the famous Irish playwright while leaving plenty of room for revelry. Oscar Wilde has 32 beers on tap and 300 whiskeys in the antique piano/whiskey cabinet behind the bar, in addition to Irish coffees and hot toddies. Irish fare includes shepherd’s pie, corned beef and cabbage, beer-battered fish ‘n chips, and farl bread pudding. 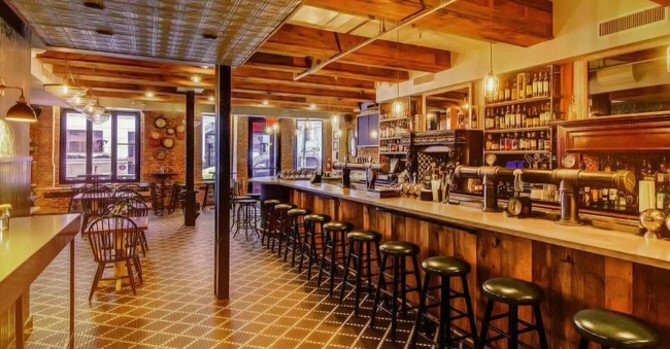 Since 1762, Fraunces Tavern has served New York City hearty meals and pints to go with them. Come to the Financial District on St. Patrick’s Day for a few rounds while the Sean McNally band plays traditional Irish tunes, 3:30-6:30pm. For a St. Paddy’s weekend of epic proportions, join the popular annual Luck of the Irish Pub Crawl. 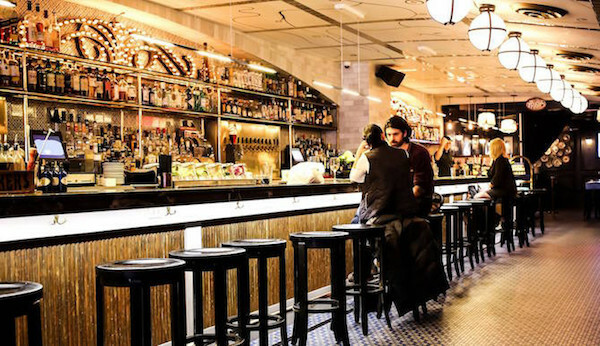 Lasting March 15-17, this crawl takes you to neighborhoods throughout Manhattan and over 50 participating bars, all of which are offering drink specials for participants. Customize your crawl with a range of time slots, locations, and pricing on the Pub Crawl website; a 3-day All-Access pass is just $25. Learn and imbibe at the same time with a Whiskey, Beer, & Cheese class at Murray’s Cheese in Greenwich Village. The legendary cheese shop is holding this class in honor of the holiday, during which participants will find the perfect beverage pairings for farm-fresh cheese, whether it’s a rare Irish whiskey or a classic Guinness. A St. Paddy's booze cruise awaits with Hornblower Cruises & Events. 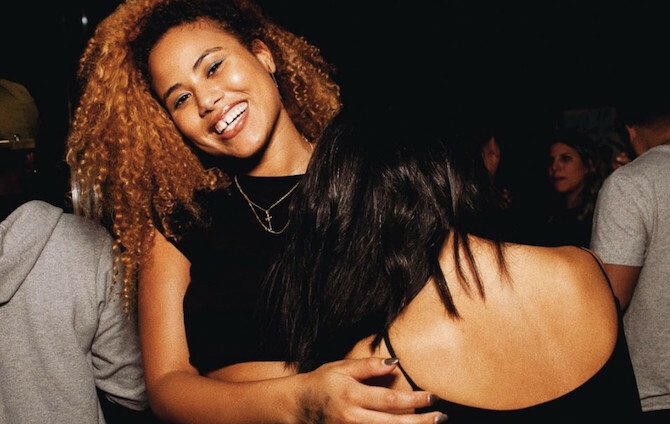 Head to South Street Seaport on March 16 or 17 for a yacht ride around the isle of Manhattan, complete with dance floor and DJ. The two-hour cruise (6-8pm) can include food and drink, and rates start at $35 per person. If you prefer a later, longer boat ride, join Empire Cruises for their special holiday cruise. On March 16, Empire will travel around Manhattan from 7:30 to 10:30pm, and premium drinks will be available from the open bar. Honor Ireland’s patron saint at his namesake cathedral in midtown. The Irish Heritage Concert will return to St. Patrick’s Cathedral on Thursday, March 14, and is free for all. Expect the band Mick Moloney & Friends, as well as the cathedral choir and organs at this popular community event. 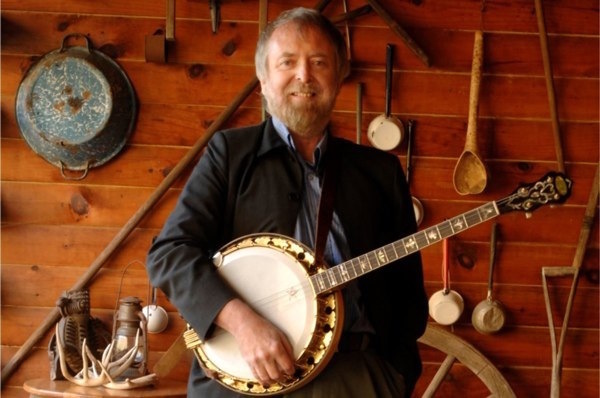 The following evening, Mick Moloney will host the 7th annual Celtic Appalachian Celebration at Symphony Space on the Upper West Side. Hear the Irish, West African, and Appalachian strains in a range of American folk tunes, played by Green fields of America, New Ballards Branch Bogtrotters, and Jerron “Blind Boy” Paxton. This event is part of Carnegie Hall’s Migrations: The Making of America series at venues throughout NYC. The CRAIC Fest returns to New York for its 21st year, celebrating all things Irish in both cinema and music. 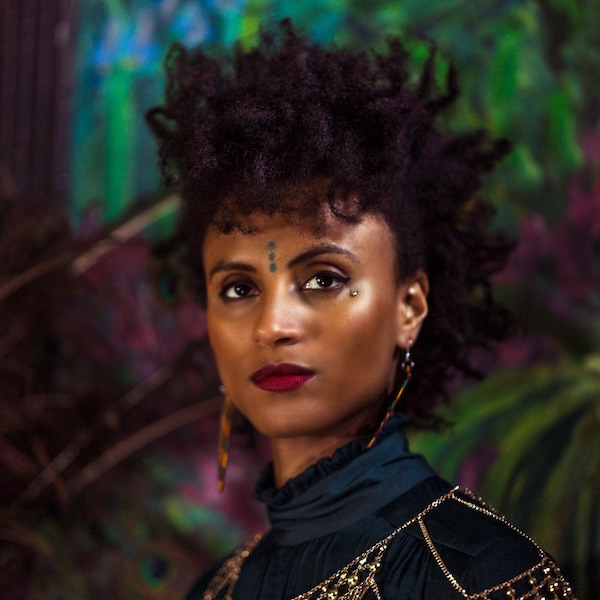 Come to Mercury Lounge on Saturday, March 2, for a night of music and performance with Ireland’s Call and special guests Loah and Julie Feeney. North/South Consonance, Inc. celebrates St. Patrick's Day with a free-admission concert on the afternoon of St. Patrick's Day at Christ and St. Stephen’s Church (120 West 69th Street) in Manhattan. The North/South Chamber Orchestra under the direction of Max Lifchitz will perform music by composers hailing from Australia, Ireland, and the U.S. The event will start at 3pm, no tickets or reservations needed. March 17, dance to fiddle-filled hit “Come On Eileen” at the St. Patrick’s Day Tribute to Dexys Midnight Runners. Playing Dexys’ hits and deep cuts, the supergroup on the bill is headed by Ted Leo with members from The Pharmacists, Gramercy Arms, Elk City, and Nova Social. 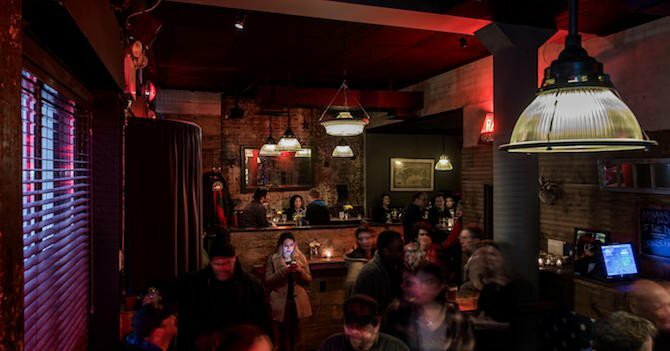 The concert fetes the holiday with some punk spirit at The Bell House in Gowanus, Brooklyn. 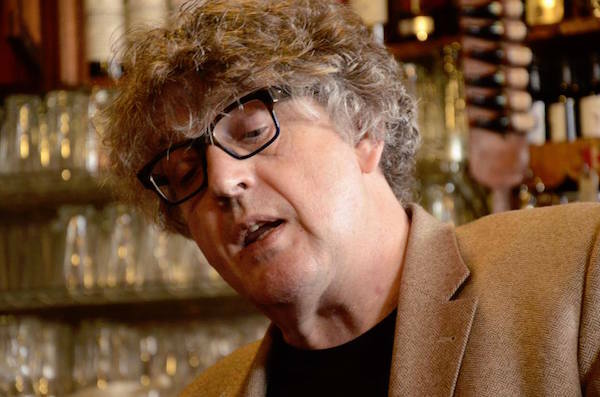 Pulitzer Prize-winning poet Paul Muldoon returns to Irish Arts Center for the season with Muldoon’s Picnic on March 11. 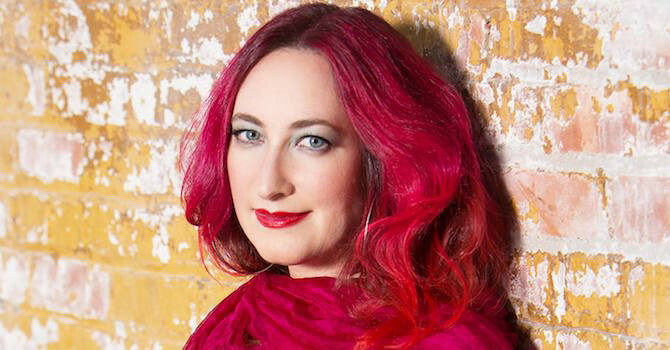 This variety show full of literature, music, and comedy will feature Stuart Bailie, Jez Butterworth, Laura Donnelly, Sharon Olds, Tim Wheeler, and house band Rogue Oliphant. Tickets are sold out, but a waitlist is available. March 15, take home an Irish tome at the 9th Annual Irish Arts Center Book Day. The IAC will establish a dozen pop-up Book Day stations around the city and distribute free—that’s right, free!—books by Irish writers, as well as authors of Asian descent. Check IAC social media accounts for book station locations. Distribution will begin at 8am. At the Lower East Side’s Tenement Museum, visitors can explore the apartment of 19th-century Irish immigrants. In 1869 the Moore family lived at 97 Orchard Street and faced the prejudice often dealt to Irish people during that era. At the same site, you can explore the apartment of the Scheider family, who ran a saloon in the basement of 97 Orchard. These tours runs daily at the Tenement Museum. Another famous historic house in New York will be putting on several tours for St. Patrick's Day. Built in 1832, the Merchant's House Museum in the East Village preserves the oldest intact family house in the city and offers you a walk back in time to the life of the Tredwell family who lived there in the 19th century. The night of Friday, March 15, the “Spirit of the Irish” Candlelight Ghost Tour will spook guests with stories about deaths that occurred inside the house. On the afternoon of St. Patrick’s Day, check out the guided tour A Tribute to the Tredwells’ Irish Servants with Bridget Murphy. This back-stairs look at the house provides insight into the life of Bridget Murphy, an 1850s Irish servant in New York, who will appear to tell her story and entertain the crowd with a song. If you’re around the Battery in March, stop by the distinctive Irish Hunger Memorial near Brookfield Place. This structure recalls the Great Irish Famine from 1845 to 1852, during which over one million people died of hunger. The walkable memorial recreates a rural Irish landscape with native plants from the north Connacht wetlands and low walls of Kilkenny limestone. Designed by Brian Tolle, the Irish Hunger Memorial not only points to the past but to the pressing realities of world hunger today. 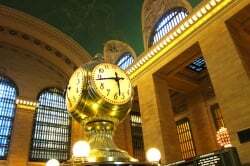 For a very different slice of Irish history, take The Irish Mob of Hell’s Kitchen walking tour with Hidden New York this St. Patrick’s season. You’ll learn about vintage Irish gangs like the Gophers and Westies and their old stomping grounds in Hell’s Kitchen. Saturday, March 10, bring your family to the Annual St. Patrick’s Open Day at the Irish Arts Center in Hell’s Kitchen. Beginning at noon, kids can experience a traditional Irish céilí, an event full of folk dances, music, and storytelling. 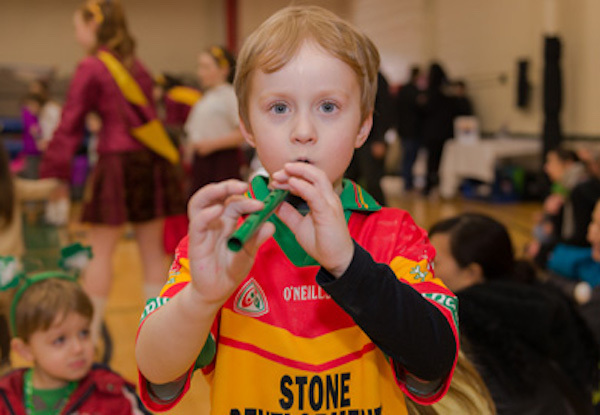 There will also be face-painting, arts and crafts, and interactive experiences with Irish instruments and language.